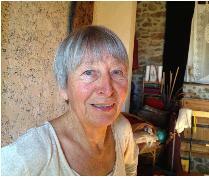 This website is intended for those interested in the Feldenkrais Method’s extraordinary range of application. General articles and interviews form the bulk of the archive. Specialized texts present an approach to 'working with air', developed by Ilana Nevill over many years in response to students and clients with special needs. "Without learning to know ourselves as intimately as we possibly can, we limit our choice. we then resign ourselves to not dealing with our difficulties as if they were prescribed by heaven." This method was created and constantly refined by Moshe Feldenkrais (1904-1984), engineer-physicist and eminent practitioner of the Martial Arts. As a practical approach to mature self-knowledge and intelligent self-education, it is based on the understanding that mind and body are one. In other words, all our actions are ultimately the outcome of complex interaction between thinking, feeling, sensing, and moving. Movement and sensing are most easily accessible to observation combined with exploration of alternatives to habitual, often harmful, ways of using our bodies. 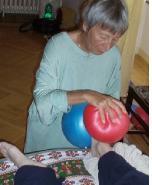 The Feldenkrais Method thus aims at assisting people who wish to move - and live - with greater awareness and ease. The ultimate aim is to provide opportunities for attaining dynamic equilibrium and a growing sense of wholeness by creating an environment favouring what was once the prerogative of our earliest days: re-kindling a capacity for learning how to learn. That capacity is the essential basis for human survival in a fast changing world. • and as a result finding ourselves enriched by a joy in life we knew as small children, at best coupled with the maturity of response-ability based on restored sensitivity and compassion for ourselves and others. I completed my university studies in Germany with a degree in education, worked as a teacher, researcher, journalist, and Yoga teacher, and in 1990 qualified as a Feldenkrais practitioner in England, becoming an assistant trainer in 1996. Among my particular interests are developing mutually supportive forms of continuous professional education and finding effective ways of speaking and writing about the Method. Nowadays most of my time and effort are spent on finding and teaching intelligent ways of using inflatable balls in the Feldenkrais practice. I began exploring "Feldenkrais on Air" many years ago when faced with the needs of people suffering from serious stress symptoms, auto-immune conditions such as MS and Parkinsons, the consequences of strokes and road accidents, and children with cerebral palsy. The surprisingly positive results of these investigations led me to adopt inflatable balls more generally as extremely useful learning tools in both FI and ATM. During the last five years I have focused more exclusively on introducing Feldenkrais practitioners to this innovative approach in advanced workshops. Once a year there is a special Laboratory/Workshop for a group of colleagues particularly interested in the question of Dynamic Equilibrium as experienced in working with air.